Have you fallen in love with chicken wire yet? I have fallen. Hard. After seeing some Lovely Chicken wire frames on pinterest, I had to make my own version, of course. Speaking of pinterest, have you fallen in love with that lovely site yet?? I have.. even harder than chicken wire… I’m a pinning addict! I can’t stop. Go follow me on Pinterest HERE & be addicted with me. Back to the chicken wire…. 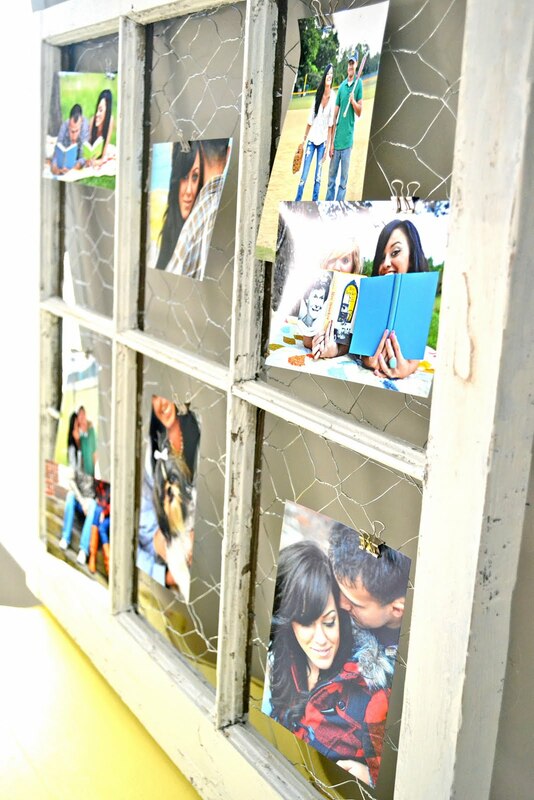 I made an old window into a picture “frame” using chicken wire.. love. First I took out all the glass panels in the window & gave the front of the window a fresh coat of paint with a little distressing. I stapled the chicken wire to the back of the frame. I actually did two layers of the chicken wire because one layer was too spaced out. Yup, that’s about it. All these lovely photos I chose are from Rach Lea Photography. Haven’t checked out her page yet? Well you should.. she is amazing & captures all of our lovely family memories for us. I love my little yellow end table… I just wish I had a place for it.. blog post on the way. 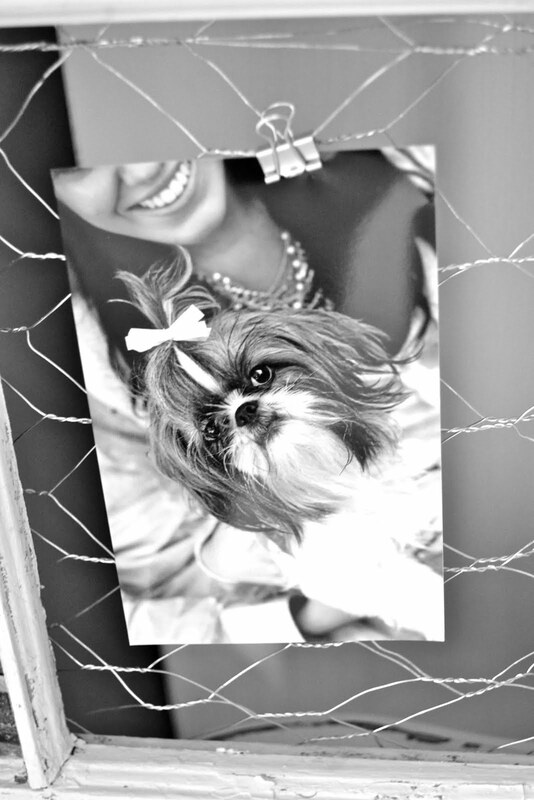 I am in love with this chicken wire frame. I want to make different versions of this, but I love my first attempt! Can we just take a moment to laugh at Bella when she used to have long hair. Chubaka! How has your week been? Mine has been super busy.. Do I say that too much? I feel like I’m constantly saying it & I annoy myself when I say it because I’m like, well then slow down woman! But I can’t, I work a full time job, have a wonderful husband, two puppies, & friends to spend time with, & I have way too many hobbies. I love it. So when I say I’m busy, it’s a good thing! We have friends coming in from Michigan this weekend, a whole 17 hour drive to spend time with us? I’m so excited… I’m getting ready to show them some North Carolina hospitality. We have tons of stuff planned, & I can’t wait for their arrival tomorrow night!! Have an awesome weekend everyone! !